The 16-wheeler truck arrived at 8 a.m. on a Wednesday. This was a ritual for the workers at Organically Grown. The men, dressed in casual jeans and t-shirts, went into the rear with their forklifts and brought out carts full of organic produce. The warehouse was stacked to the brim with produce on metal shelves. While some of the produce was sent from all over the world, most of it came from the local farmers of Eugene, Oregon. The workers talked and chuckled as they threw each other newly-arrived apples. The colors differed dramatically from the standard red and green Granny Smith apples at supermarket chains. The apples were discolored and bruised— they would not pass grocery standards. But these apples didn’t end up in the trash. They were saved by a local nonprofit, FOOD For Lane County (FFLC), which brings food destined for the dump to the table. Organically Grown and FFLC, built a partnership to create a sustainable system that addresses food insecurity by limiting food waste. 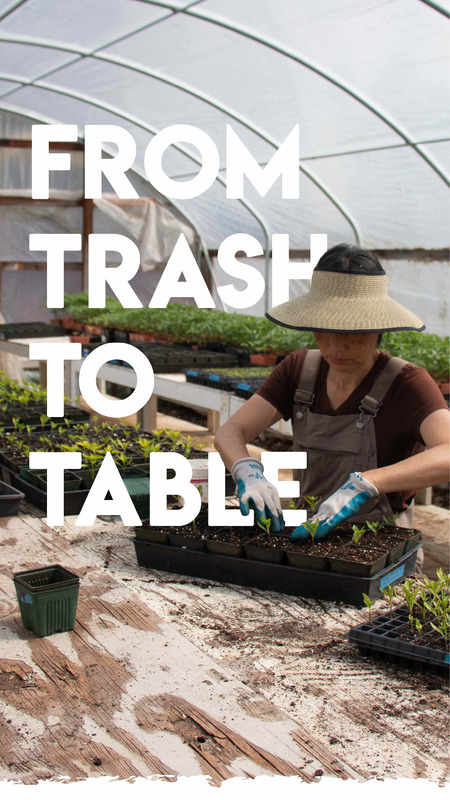 By combining nonprofits, businesses and the local county government, these groups are trying to effectively solve two social issues, food waste and food insecurity, through a reallocation of resources. FOOD For Lane County and its collected agencies have set up an ecosystem that eliminates food insecurity and food waste by following three of the six guidelines provided by the Eat Right Foundation, which published a report that provided an inverted pyramid that acts as a guide for people to use before they throw their food away into a landfill. The categories are source reduction, feed hungry people, feed animals, industrial uses, composting and landfills. The organization has been an aid for those that face food insecurity. The organization is a nonprofit whose mission is to “[Alleviate] hunger by creating access to food.” It strives to complete its mission by offering meal boxes for families and singles, while also offering a variety of programs that focus on healthy cooking and food budgeting. Food insecurity can be defined as a lack of access, at times, to enough food for a healthy lifestyle. However, food insecurity isn’t just about hunger. Those affected by food insecurity may experience unemployment, fixed income, medical and childcare bills and more. The organization began in 1984 with only a handful of volunteers, and the common difficulties that come with running a nonprofit, such as low funding and a lack of resources. In the earlier years, the organization relied heavily on small household donations and used its van to pick up food donations from restaurants and homes. Now, however, accepting small local donations has become a struggle for FFLC, according to FFLC Resource Developer Brad Bassi, as the cost of resources, such as gas and worker’s payment, no longer equate to the reward. “Sourcing food locally is hard. We want to do it, but it’s an efficiency issue,” said Bassi. Instead, the nonprofit provides healthy eating choices at its agencies and programs. In the past, the nonprofit relied heavily on nonperishable items, but now roughly 25 percent of FFLC’s food bank is produce. It collaborates with the state’s major food businesses, including Fred Meyer, Winco, Safeway and Organically Grown to obtain its produce. 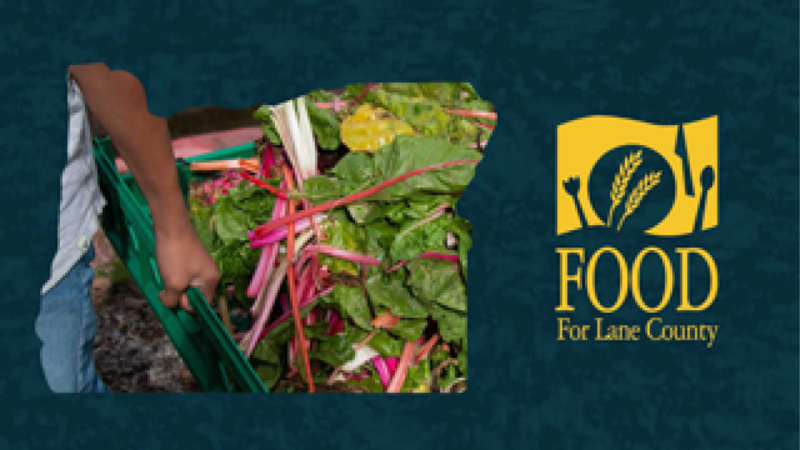 Organically Grown, one of FFLC’s main collaborators, is an organic produce distributor in the local Eugene area. The company works as a middleman between produce farmers in Mexico, Chile and New Zealand and the tables that the produce lands on. Once the food is received from the farmers, Organically Grown workers sift through the produce to verify its level of safety. 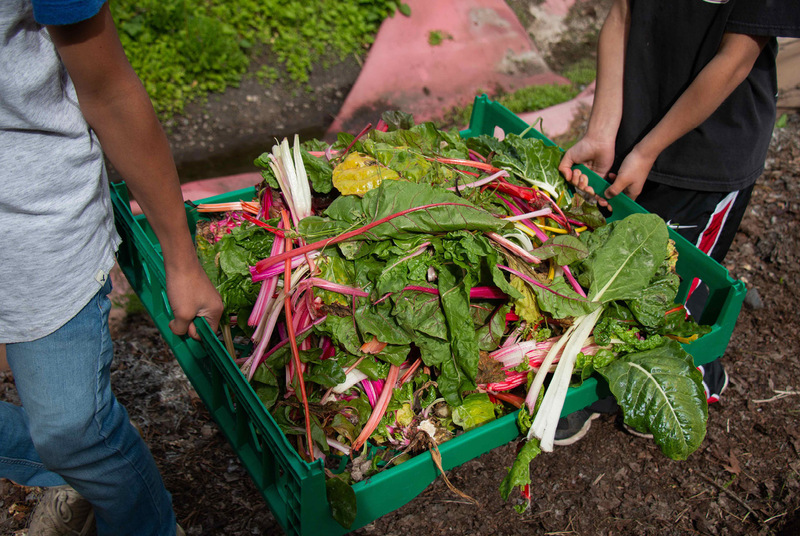 If the organic produce is not up to food safety standards, it will be composted in a large pile behind its warehouse; but, more likely than not, the produce is donated. The company works closely with FFLC to ensure that none of the food they receive is wasted. Like FFLC, Organically Grown strives to operate sustainably. “We support over 200 organizations and school programs that teach environmental, educational, agricultural farming,” said Brian Keogh, senior buyer at Organically Grown. The company donates three times a week to FFLC, averaging out to half a million pounds of donated or saved food in a fiscal year. Keogh’s home life mirrors that of his work — he teaches his own children to farm responsibly and organically. Despite the efforts of Keogh, his children and FFLC, the data show that food waste and food insecurity have increased over the years. According to an EPA report published in 2017, the total amount of food wasted from 2012 to 2014 has increased by 1.97 millions of tons. 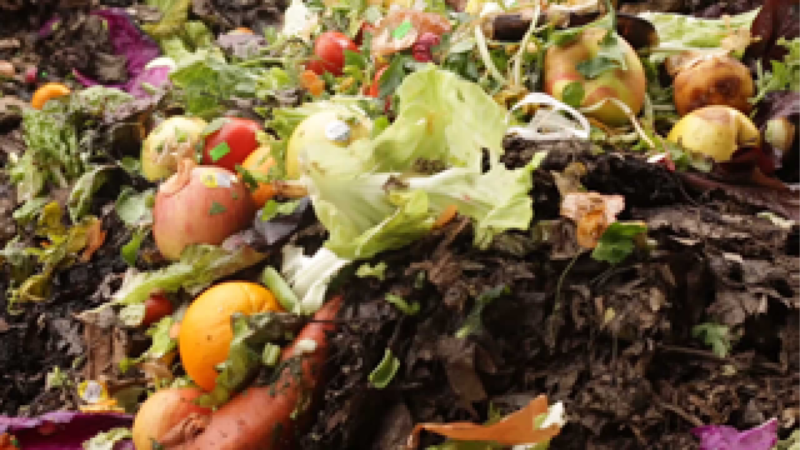 However, the amount of food waste that has been recovered is up by .20 millions of tons. According to a study by the USDA, Oregon’s neighboring states, Idaho, California and Washington supersede Oregon in food insecurity by 2 to 3 percent. The report concludes that 14.3 percent of Oregon’s population faces food insecurity compared to 11.6 percent in its neighboring state of Washington. Student volunteers from local Eugene schools volunteer at the Grass Roots Garden and transport crops to the compost after harvesting fresh produce.